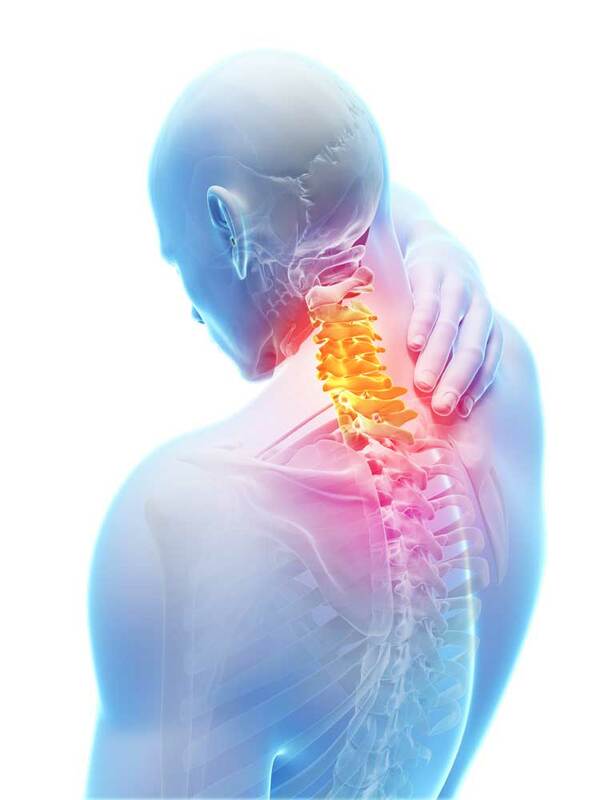 Whiplash is the term given to neck injuries caused by an involuntary or jerking movement of the head in any direction. During this sudden movement of the neck in a forwards, backwards or sideways direction, the cervical vertebrae are forced to hyperextend beyond their normal range of movement. After a Whiplash injury, the muscles in the neck spasm and lock the vertebrae to prevent them from hyperextending further. This is the bodies instinctive safety response triggered by the brain to protect us from further harm. However this muscular clamping effect prevents the vertebrae from returning to their natural positioning. Just like a lower back injury, whiplash injuries can appear to fix themselves, but over time they can and will return with the patient experiencing some of the symptoms mentioned above. I treat many Whiplash injuries and on occasion, the patient presents with typical symptoms but doesn’t relate them to a previous whiplash incident, as it may have occurred some time prior to their current problems. Whiplash injuries respond very well to my own unique treatment programme incorporating Interferential Electro Stimulation Therapy, Shiatsu Massage and finally the vertebral Alignment.